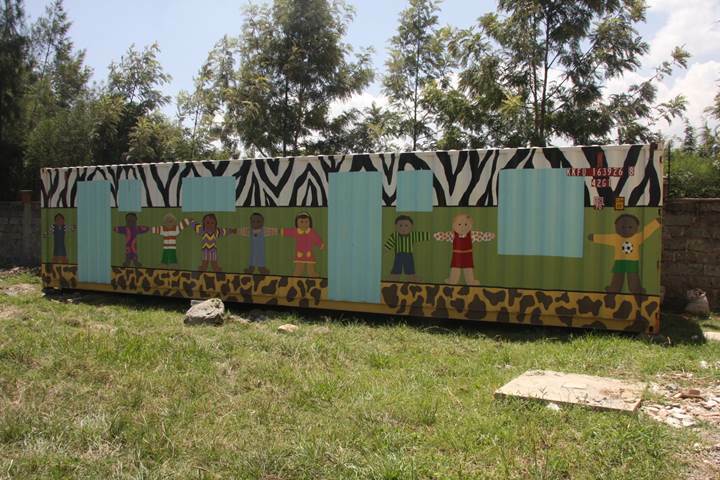 Excited to share the medical clinic container built by the Lutheran Church of God’s Love in Newton, PA has safely completed its voyage from the U.S. to Africa, and is en route to its final destination in Kisumu, Kenya. Photo below shows the clinic at the Life in Abundance office in Nairobi as it waits for the next carrier to take it to Kisumu. Very exciting for all the volunteers who transformed the used shipping container, and for the community about to receive this badly needed medical clinic!